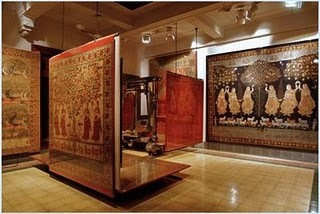 Calico Museum of Textile is one of the attractive places to visit in the Gujarat, Ahmedabad. It is regarded to be the most prominent textile museum in India that features a wide range of artifacts and textiles. The museum offers ample opportunities for enthusiasts to have an in-depth study of various textile fabrics and artifacts. It comes with two sections for displaying historic textiles and religious clothing separately. 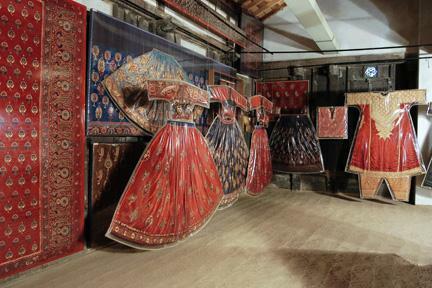 The museum comes with unique ranges of woven fabrics along with a vast range of religious and royal clothes. The museum hall comprises of finest collections of handmade modern and antique textiles that traces back to the period of 500 years old. Visitors have the chance of viewing Kashmiri shawls that comprises of threads of about 100,000 that were dyed individually before the task of weaving. These shawls were made of double ikat clothes and took near about three years to be prepared. When you buy Textile & Handicraft Tour Package In Gujarat then you can also explore the premises of Sarabhai Foundation that comprises of outstanding collections of miniature Indian paintings, objects of Jain art, Pichhwais and Bronzes. This museum was established during the period of 1949 and it was founded by Gira Sarabhai. The formation of this museum was conceptualized in the year of 1940 when Ananda Coomaraswamy emphasized on the need of constructing such museum in Ahmedabad to Gautam Sarabhai. The concept was ultimately materialized in the year of 1949 with the active financial support of Gira Sarabhai. During early fifties, this museum mainly focused its energies on vital and vast field of the handicraft textiles and reducing its focus on industrial fabrics. During the second decade of its inception, the museum adopted and launched an ambitious program. This program was based on two series but the most prominent among them is Historical Textiles of India. In the year of 1983 the museum was transferred to the premise of Sarabhai Foundation from the compound of the Mills. This landmark museum is regarded to be one of the places of attractions and is situated within the premises of Sarabhai Foundation of Shahibaug area of Ahmedabad. It will hardly take 324 km to reach this museum from the nearby airport of Jamnagar via NH 8A. From Surat Railway Station, it will approximately take 261 km via NH8 and NE1. The favorable period to visit this Museum is from October to March when the climate is overall pleasant along with the reduced intensity of sunlight for touring the galleries of museum and the foundation.